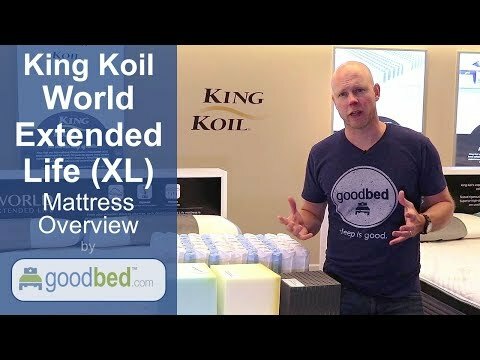 GoodBed's simple explanation of the full range of World Extended Life (XL) mattresses from King Koil, newly redesigned in 2018. King Koil is a leading global brand and provider of high quality mattresses which provide people from across the globe a healthier night's sleep. Our products can be found in retail stores and world-class hotels throughout the world. In 1898, Samuel Bronstein realized his dream: he founded United States Bedding in St. Paul, Minnesota. What started out as six employees in a small factory has steadily grown. Throughout the early 1900s, US Bedding added employees, expanded manufacturing and became innovators in the industry. During the 1930s, US Bedding greatly improved the bedspring and was looking for a new name for its product. The King Koil name was born. As time has passed, the technology has changed, but the level of commitment to quality and service has remained the same. Along the way, King Koil has received many prestigious distinctions, including endorsements from the International Chiropractors Association (ICA). Today, King Koil mattresses can be found in more than 90 countries throughout the world, with its worldwide headquarters located just outside of Chicago, Illinois. Our Mattresses: We strive to achieve best-in-class quality and comfort by pursuing the latest sleep technology. We are committed to designing, sourcing, manufacturing and selling the best quality sleep products at the best value. Our Customers: The success of King Koil is dependent on the experience you have with our brand. From shopping at one of our retailer partners, to sleeping on our mattress, to post-purchase service and beyond -- our customers matter most. We want to be known as the service-oriented mattress company. Our Community: Our licensees, retail partners, employees and vendors are part of the community where they live and work. Being a good neighbor is a top priority. We will conduct business in a professional and ethical manner with integrity, respect and benevolence that benefits the community. We are proud to be Made in the USA and stand behind our product with our Better Business Bureau accredited A+ rating. Based on 2,459 real owner experiences with this brand. How do people like you rate their King Koil mattress? Mattresses are personal. Filter the 2,459 King Koil ratings by sleep position, weight, age, gender and more to find the ones that are most relevant for you. The Natural Response line has 55 ratings and 2 reviews on GoodBed. 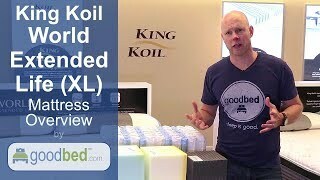 The King Koil World Extended Life line has 1 rating and 0 reviews on GoodBed. The King Koil World Luxury Intimate line has 2 ratings and 0 reviews on GoodBed. The Posture Sense line has 4 ratings and 0 reviews on GoodBed. The iMattress line has 19 ratings and 1 review on GoodBed. The King Koil Duck Dynasty line has 8 ratings and 0 reviews on GoodBed. The World Luxury line has 1 rating and 0 reviews on GoodBed. The iMattress G Series collection has 3 ratings and 0 reviews on GoodBed. The iMattress G Series Premium collection has 2 ratings and 0 reviews on GoodBed. The iMattress XS Series collection has 6 ratings and 1 review on GoodBed. King Koil mattresses are recommended by 73% of owners on GoodBed (based on 2,459 ratings + 27 reviews). Want more reviews from King Koil mattress owners? Do you have something to say about your King Koil mattress? Write a Review! Comfortable beds loved around the world. 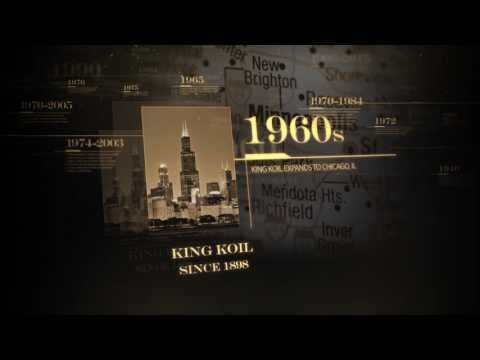 King Koil is a large mattress manufacturer founded in 1898 that is based in Willowbrook, IL in the United States. King Koil was at one time rebranded Comfort Solutions in order to encompass an expanded offering of product lines, but the name was changed back to King Koil in 2013. King Koil mattresses are still widely available as a product line of Comfort Solutions. Comfort Solutions mattresses are available at Sleepy's, Mattress Discounters, Metro Mattress, Art Van Furniture, Bedmart, City Furniture, and NY Mattress Factory, along with other mattress retailers. Have an update or correction to our information about King Koil? If so, please take a moment to suggest an edit. Showing stores with King Koil products nearest to Fairfield, CT. Call store first to confirm availability.